Victorian Jason Forssman #774 returns to where it all began this weekend, the iconic Sea Lake Mallee Rally in search of another strong showing. 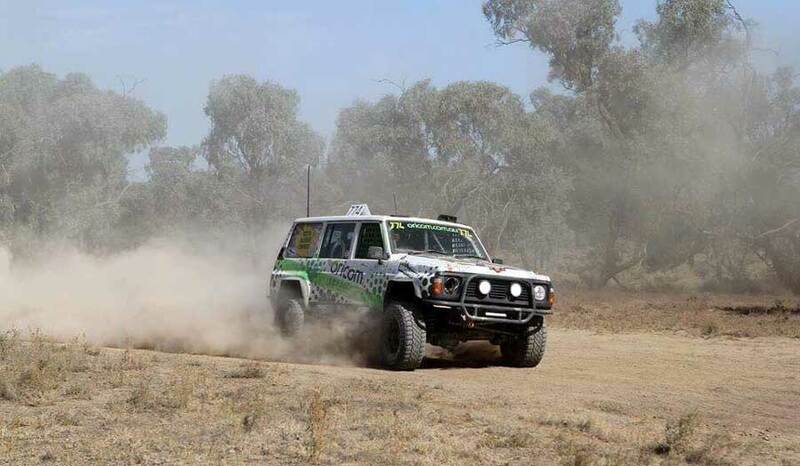 After opening the season with a Class 7 win at the Griffith 400, Geelong based Forssman was unable to compete at Mildura, though will be out in force this long weekend for Round 3 of the ARB Australian Off Road Racing Championship. 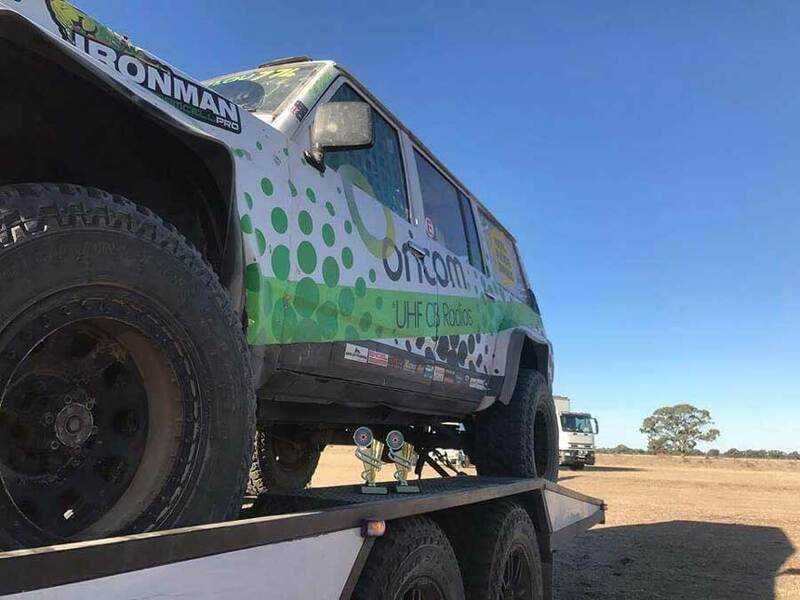 Rolling out the team’s Oricom sponsored Nissan Patrol LWB Wagon for its maiden voyage at the iconic long weekend event, Forssman and navigator Del Palmer are eager to finish the gruelling 400kms; an achievement in itself. Despite their Class 7 win at Griffith, it was not all smooth sailing – a wheel falling off on their second last lap ended their charge short of full distance. 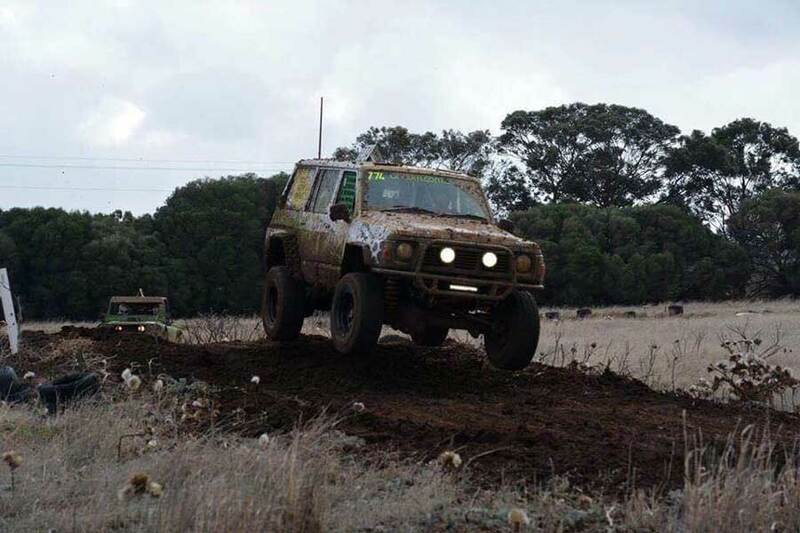 Lots of positives were taken from their return to the off road arena, over 300kms of seat time, ironed out a few bugs and drove it on the trailer (with a little help). Mellool Short Course was up next, and the crew had a ball in dusty conditions. 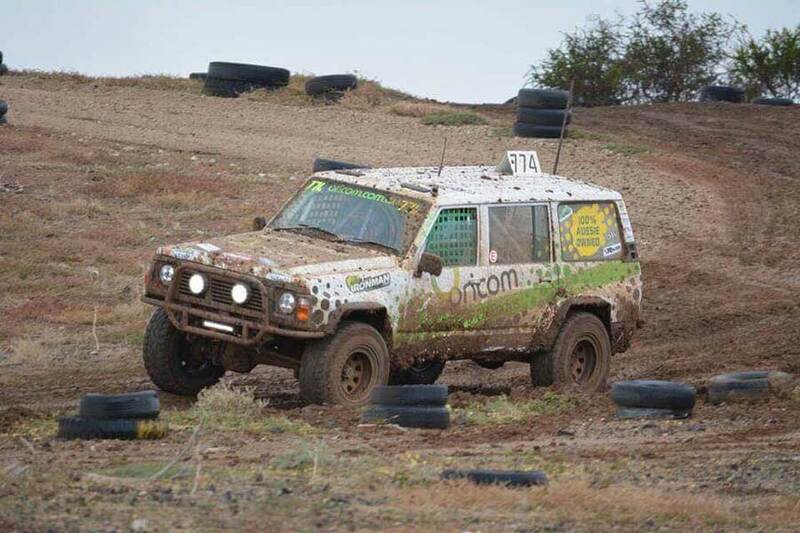 The one day event hosted by the Sea Lake Club was Round 2 of the Victorian Off Road Club Shield; Forssman and Palmer brought the Oricom sponsored #774 home in 14th outright, resulting in another class win. Unfortunately, the Patrol’s latest outing at a wet Avalon was not so successful, smashing two wheels in the first heat ending their day early. Since their disappointing Avalon campaign, all eyes have turned to this weekends Mallee Rally. Many nights in the shed with great mates, pizzas and light refreshments has the Patrol shining, ready for Forssman and Palmer to go to work for a fourth class win for 2018. Forssman has a large band of supporters and sponsors who contribute immensely to his racing endeavours. Firstly to the main sponsors of the #774 truck, Marlene and the team from Oricom UHF’s who have given the team every opportunity to succeed. 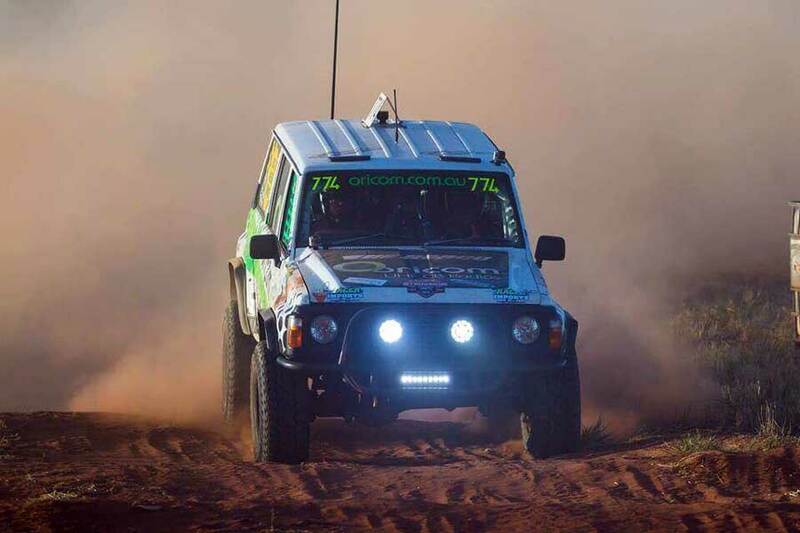 Other corporates include – Ryco Filters, Repco, Great Whites, Cooper Tires, M2R Helmets, Roadsafe, Castrol Edge, Disk Brakes Australia, Bendix, Clutch Industries, Whiteline, Gates, Nolathane, Century Batteries and Ironman 4x4. 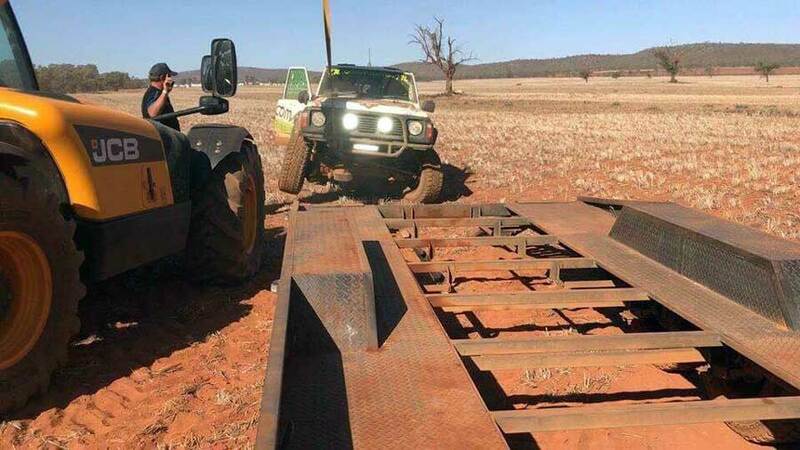 Jason would also like to acknowledge again Shawn and Carly from Charles Brothers Automotive, Drew and Alice from Drive Safe Service Centre, and Dale, Brett, Aaron, Michael and Mossey – the guys who are always there to lend a hand, most of the time without being asked. Last, however not least, is Forssman’s wife Kara along with side kick in the truck Del Palmer and wife Nik from Geelong 4WD and Camping, the help and guidance from these guys is second to none – an amazing team effort by all. Check out the Oricom 4x4 Motorsport and Ryco Filters 4x4 Motorsport Facebook pages for more photos and videos.